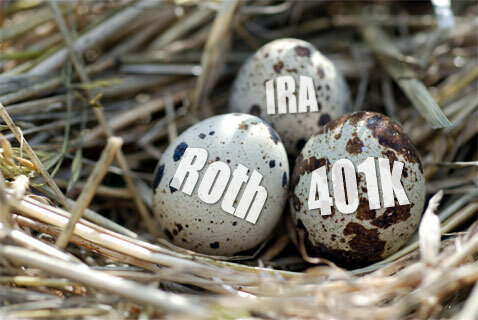 A Traditional IRA Or A Roth IRA: Which Is Best? Which is best – a Traditional IRA or a Roth IRA? That's a great question, and there's no cookie cutter answer which is applicable to everyone. Each person's financial situation is different, and different needs call for different solutions. And while you don't necessarily have to choose one over the other (you can invest in both a Traditional IRA and a Roth IRA), keep in mind that your annual IRA contribution limit applies to both retirement accounts, so a contribution to one means less money you can potentially contribute to the other. For example, if your annual IRA contribution limit is $5,000, you can NOT contribute $5,000 to your Traditional IRA and $5,000 to your Roth IRA. If you contribute $5,000 to one, you can't contribute any amount to the other. And if you contribute $3,000 to one, the most you can contribute to the other is $2,000. So you have a big decision to make when it comes to allocation of your retirement savings. Below are just a few of the factors you need to take into account when trying to decide whether you should invest your hard earned money in your Traditional IRA, your Roth IRA, or some combination of both. One of the primary factors to consider when evaluating the benefits of your Traditional IRA vs. your Roth IRA is tax deductibility. Generally speaking, contributions to your Traditional IRA are tax deductible – meaing you make your contribution with pre-tax dollars, which lowers your taxable income, and then you pay your taxes. On the other hand, contributions to your Roth IRA are non-deductible – meaning you pay taxes on your gross income first, and then make your contribution with after-tax dollars. Which is best? It really depends on a number of factors unique to your own financial situation, but as a general rule, if you're in a high tax bracket now and you anticipate being in a lower tax bracket when you retire, you might want to take advantage of the tax deductibility of your Traditional IRA. But if your tax bracket is lower now than you expect it to be in retirement (or you think it will stay the same), then you might want to take advantage of the tax-free withdrawals offered by your Roth IRA. Another factor to consider is how your money is taxed when you finally make withdrawals during retirement. With your Traditional IRA, you owe income taxes on any funds you withdraw during retirement (since you originally made tax deductible contributions), but under the Roth IRA rules, all qualified withdrawals are tax-free when you retire (since you originally made non-deductible contributions). Which is best? Obviously, we all prefer tax-free withdrawals from our retirement savings, but again, you can't look at these two factors in isolation. You need to weigh each option relative to the type of contributions you make (deductible vs. non-deductible). In most cases, it's a wash. You either pay the taxes upfront (non-deductible Roth IRA contributions) or you pay them later (taxable Traditional IRA withdrawals). However, keep in mind that if you're capable maxing out both accounts, you end up with more money in retirement if you choose your Roth IRA. Why? Because you're able to contribute more. For instance, let's say you contribute $5,000 to your Roth IRA and your spouse contributes $5,000 to a Traditional IRA. You invest both accounts in identicle assets so that when you reach age 60 both accounts are worth $200,000. If you're in the 15% tax bracket, your Roth IRA is still worth $200,000, but your spouse's Traditional IRA is only worth $170,000 because any withdrawals are subject to income tax. One last factor you need to consider is required distributions. By law, you must begin taking annual distributions from your Traditional IRA at age 70 ½ whether or not you want to. But with your Roth IRA, you don't have to worry about required distributions. If you so choose, you can continue investing in your Roth IRA until the day you die, regardless of how long you live. In this respect, your Roth IRA is a superior option because it gives you more flexibility. You choose whether or not to withdraw funds from your retirement savings, and no arbitrary rules dictate a forced withdrawal. This gives you greater freedom to plan your finances during your retirement years. After all, not every 71 year old needs to withdraw funds from a retirement account. Many are still working, and among those who are retired, many can live comfortably off of social security benefits, pension income, and other investments. So why paint yourself into a corner? Aside from the required distribution provision which forces you to withdraw funds from your Traditional IRA, you can't make a blanket statement applicable to everyone regarding which is the better option – a Traditional IRA or a Roth IRA. Only you can decide which one is your best option, and you do so by examining your individual financial situation, assessing your current and projected tax brackets, using a Traditional IRA vs. Roth IRA calculator, and/or taking into account any additional forms of income you may have in retirement. In the end, you may find one is a clear winner over the other, or you may decide to hedge your bets and split your annual IRA contribution between the two accounts. I always hedged my bet and contributed to both. I do not think I will earn more in retirement, but I do not know for sure. Secondly, I like that I am not required to take distribution at a certain age. I am a die hard Roth IRA believer, to me there is little comparison. I love that there will be no taxes when it’s time to take out. That alone is all I need, besides all the rest of the positives! Tax rates far in the future are, of course, unknowable but one could make an educated guess. If you are in the 15% tax bracket now then Roth IRA looks attractive since it seems unlikely that your future tax rate will be lower than that. Similarly, if you are in 35% tax bracket now then Traditional IRA makes more sense, especially if you are planning a frugal retirement which will keep you in a low tax bracket in your retirement years. Next Post: How Would You Handle A Financial Setback?